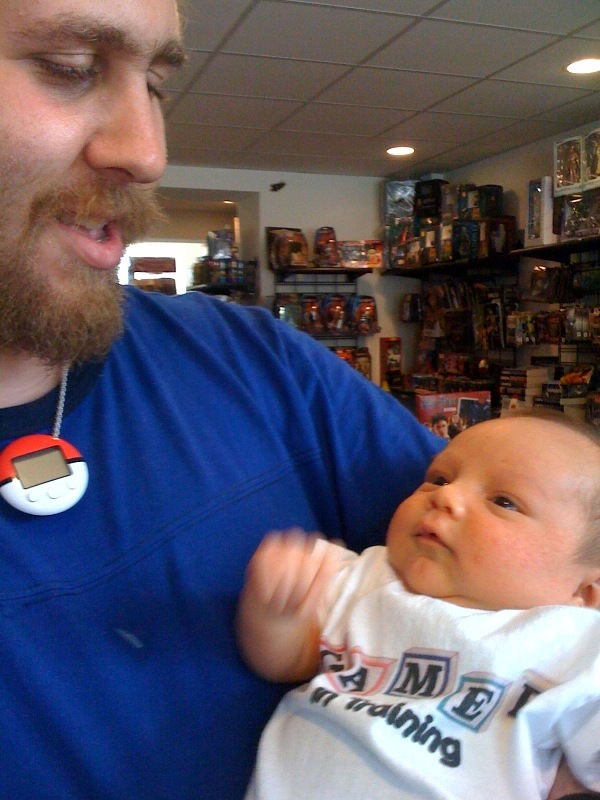 Because he’s too freaking cute (the baby, not me) – here’s baby Lex learning the ins and outs of gaming. One month old and he’s already playing a level 3 paladin. But he eats the dice. This entry was posted on Friday, July 30th, 2010 at 12:43 PM and is filed under Uncategorized. You can follow any responses to this entry through the RSS 2.0 feed. Both comments and pings are currently closed.